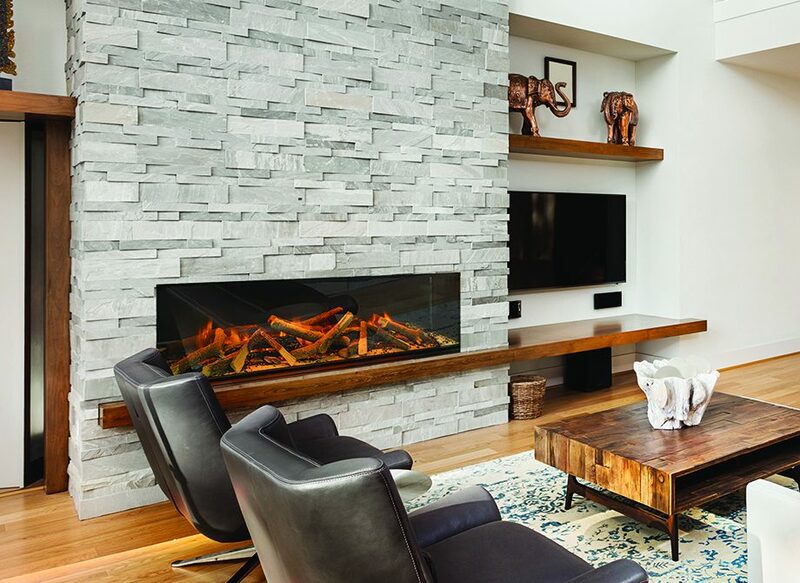 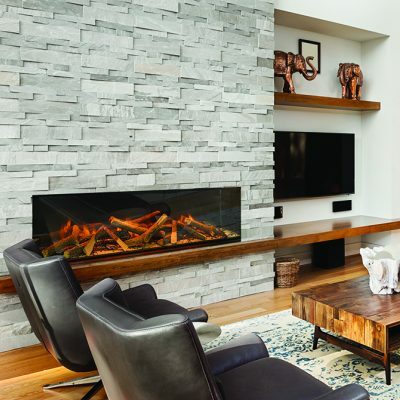 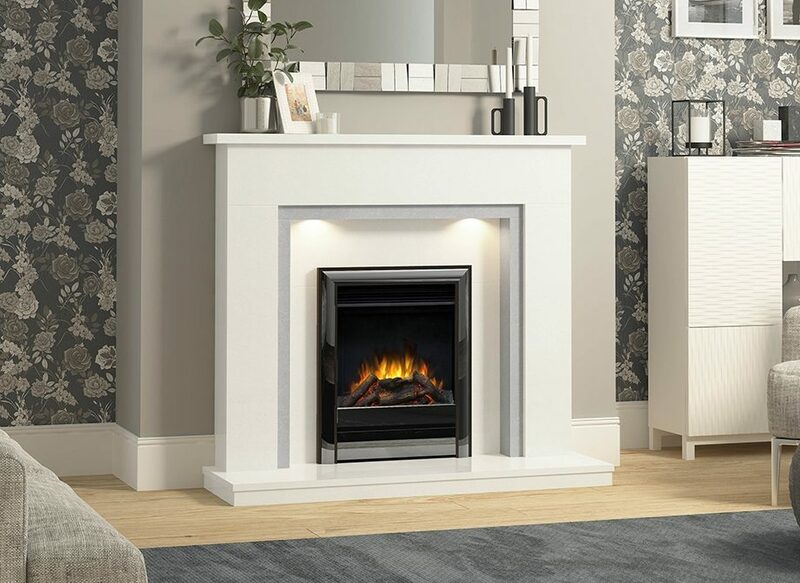 In the absence of a chimney or flue and if you don’t have gas in your property, electric fires are an elegant, hassle-free alternative to creating the wonderful, cosy feeling of a fireplace in your home. 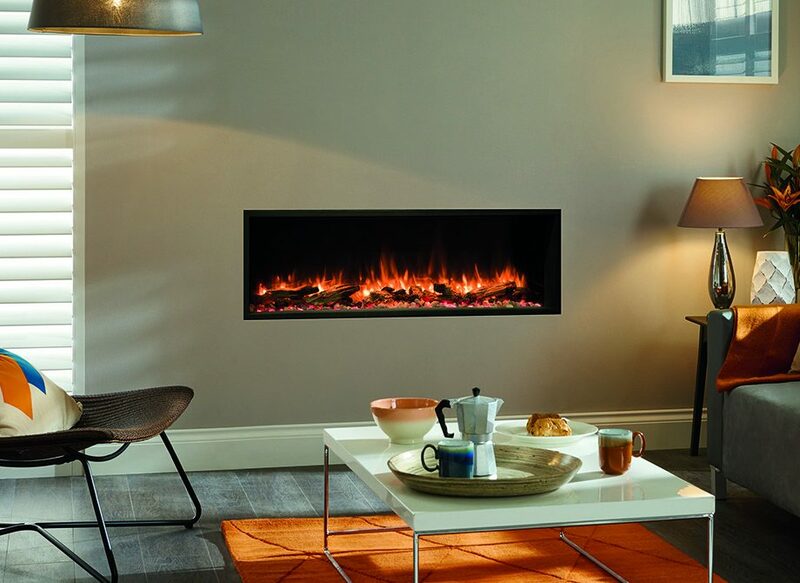 As well as being cheap to install and easy to maintain they are also 100% efficient at the point of use. 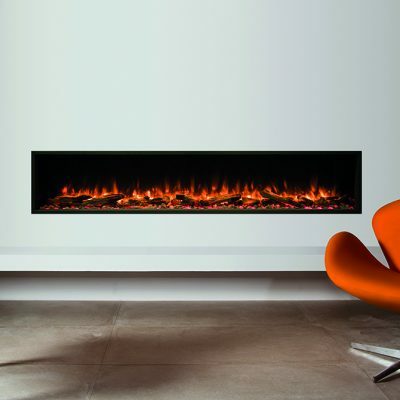 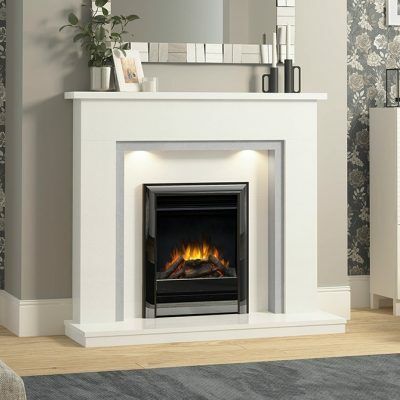 Gas Mark 1 have many electric fires and suites available in every style, from the traditional and classic to the ultra-modern and contemporary. 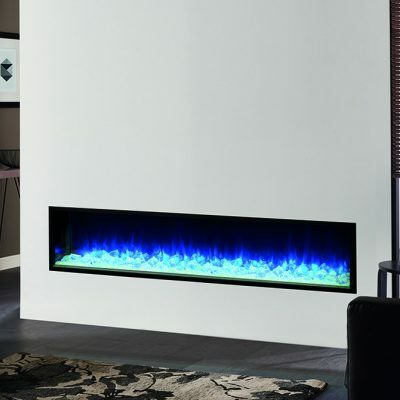 Many electric fires now use L.E.D. 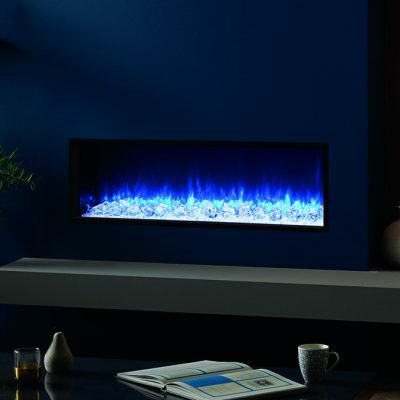 lighting to lower running costs and to give a more realistic electric flame effect. 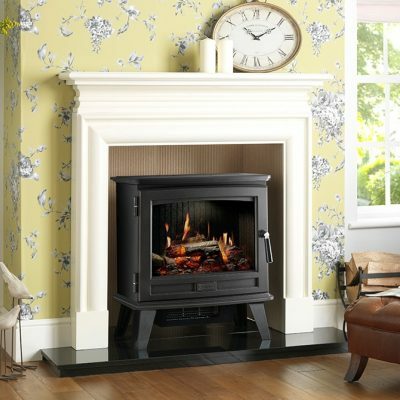 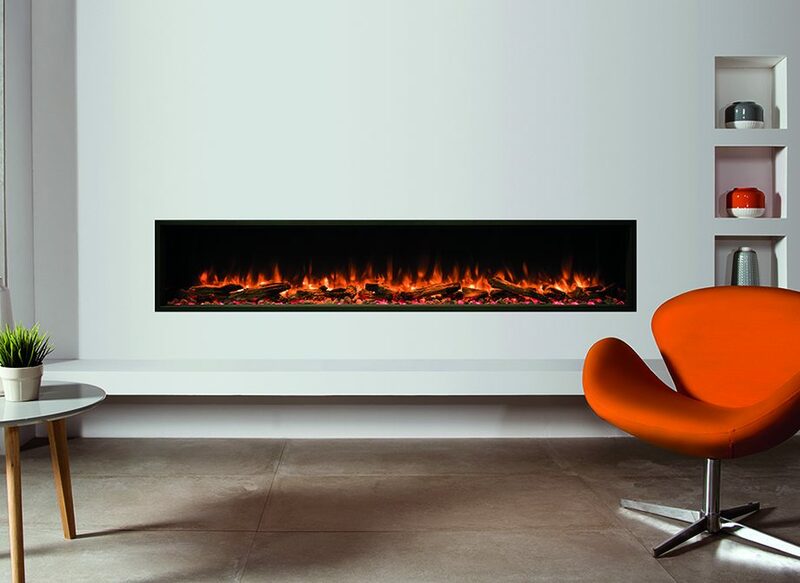 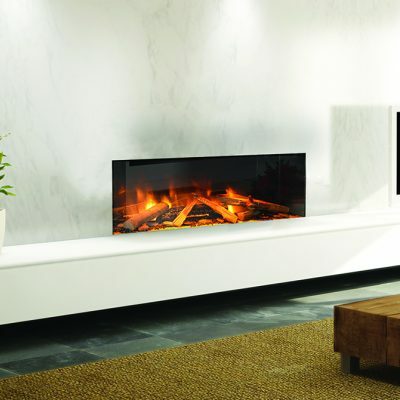 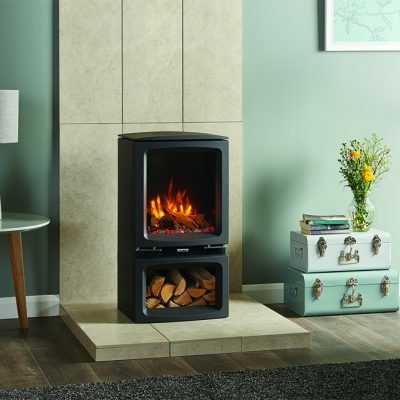 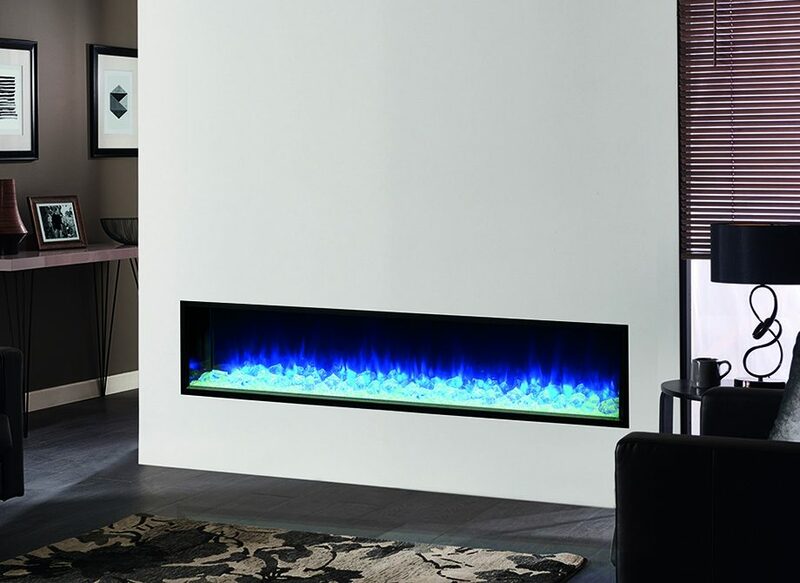 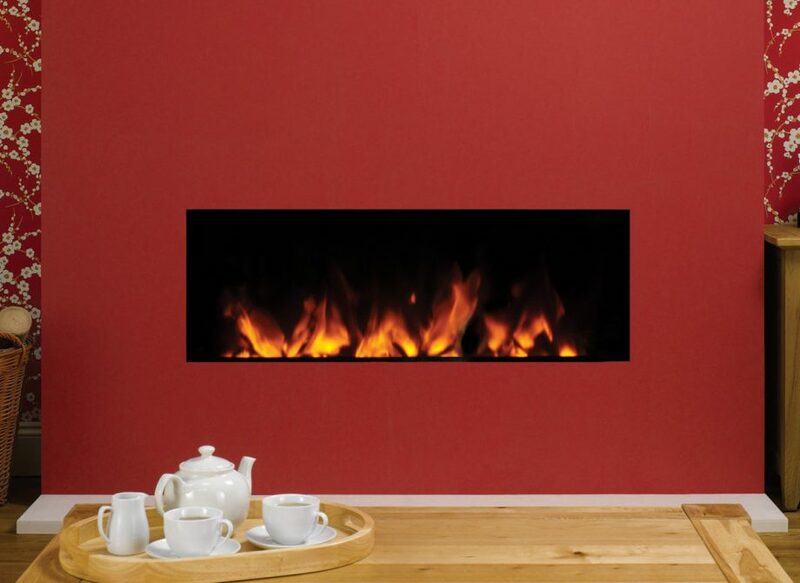 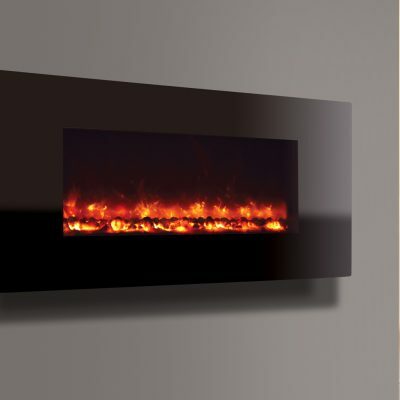 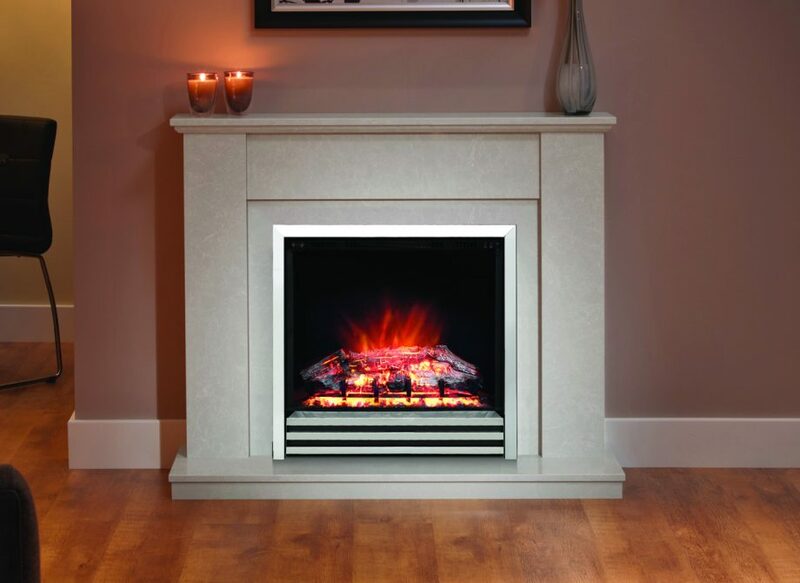 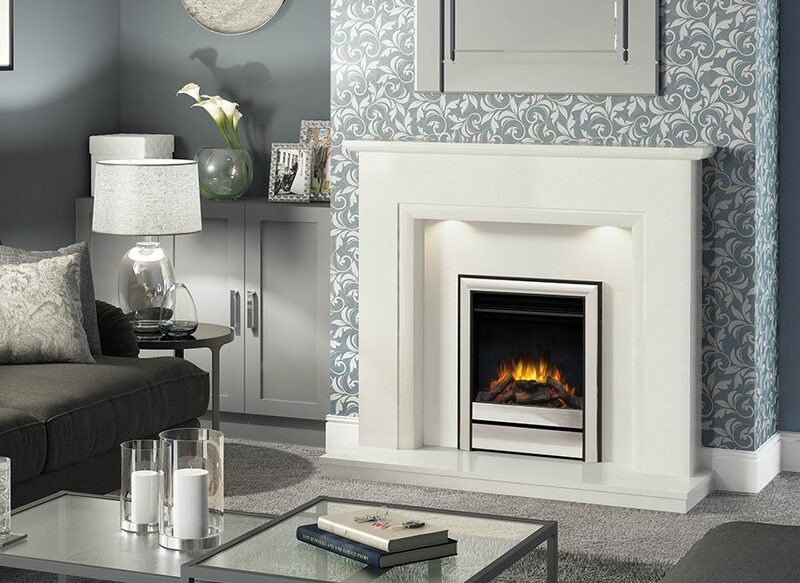 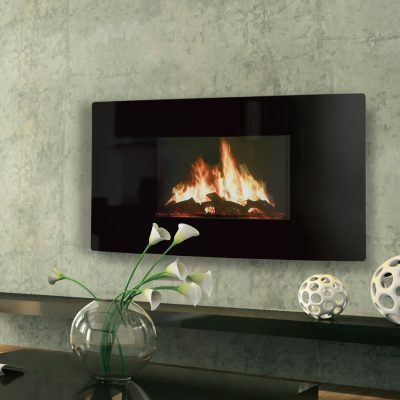 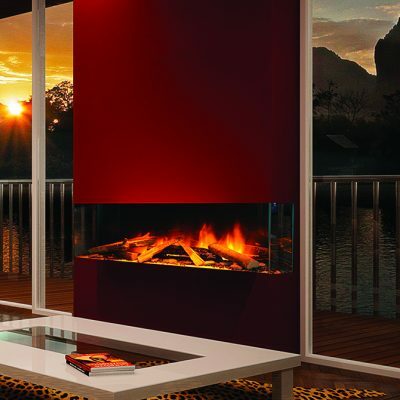 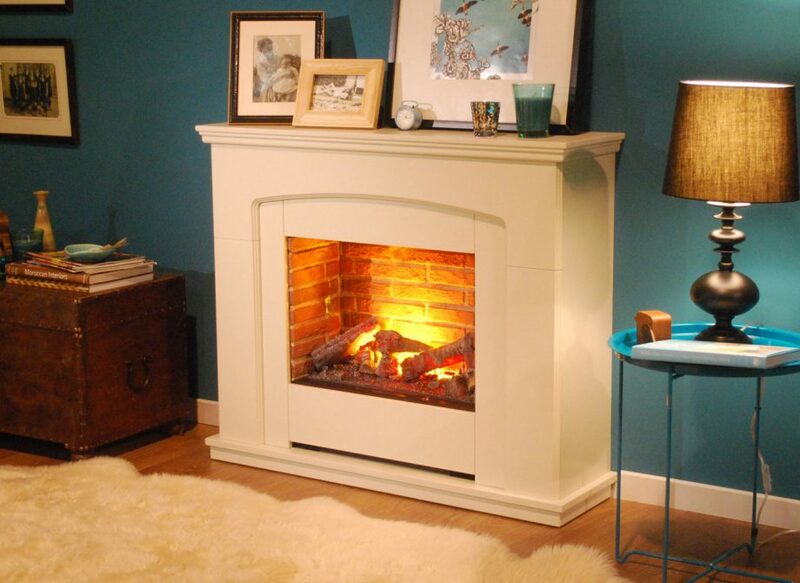 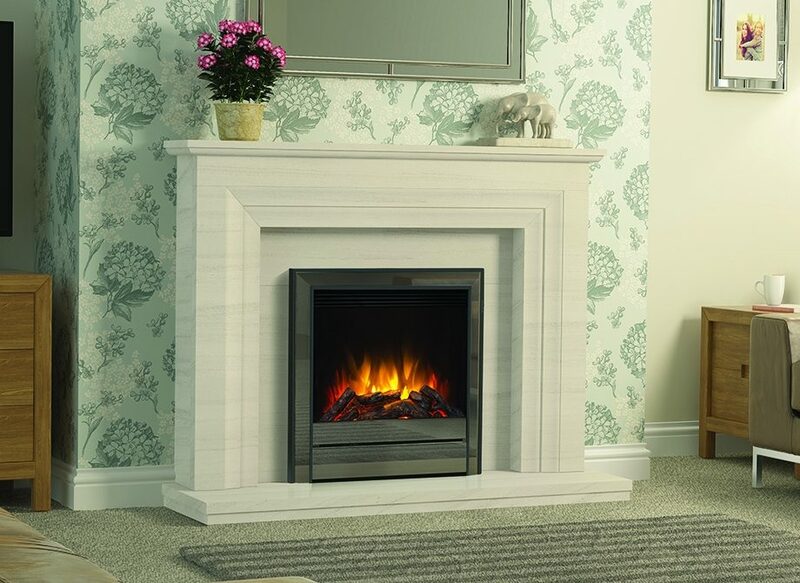 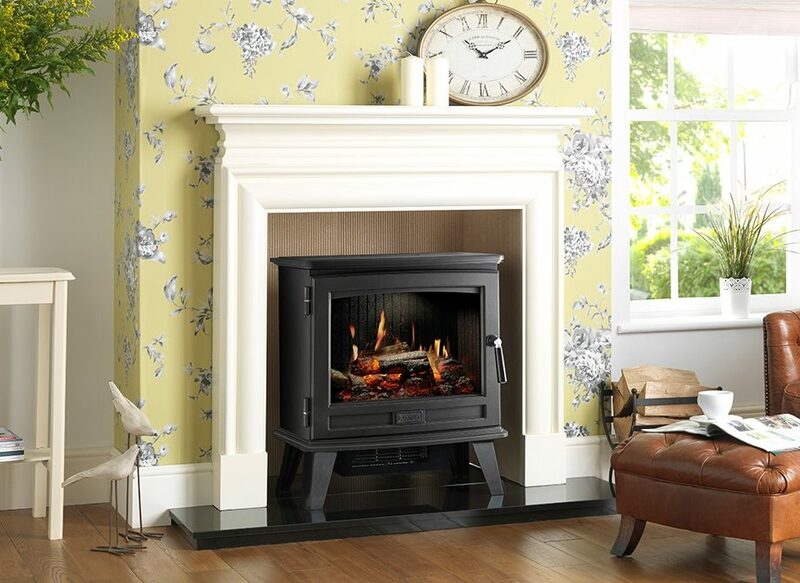 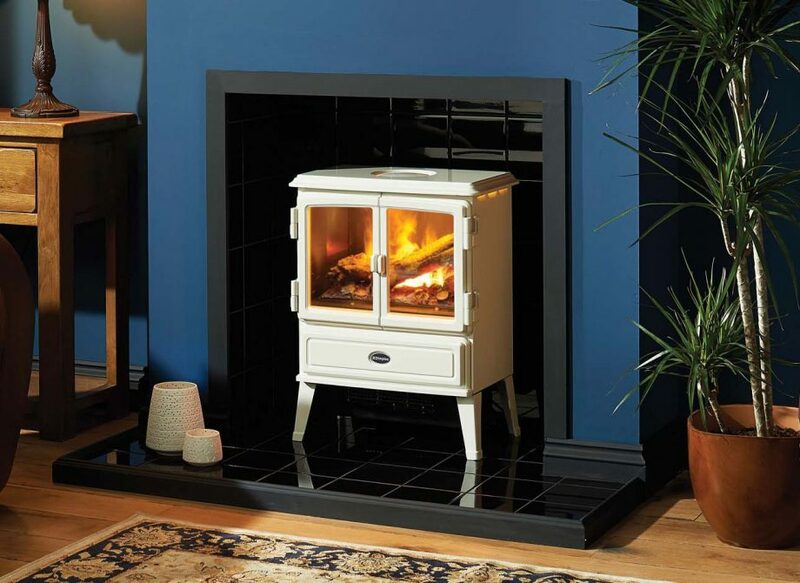 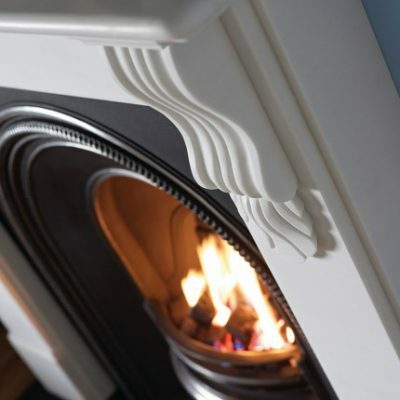 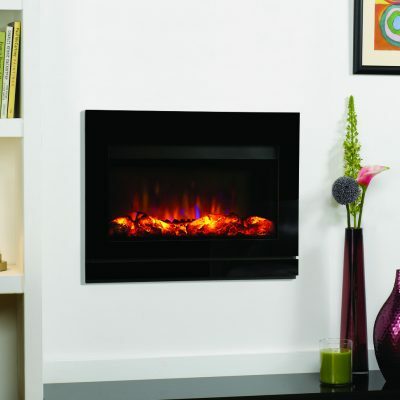 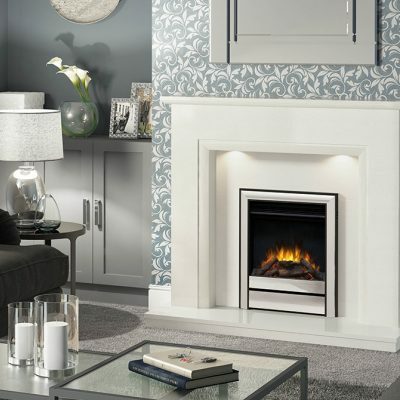 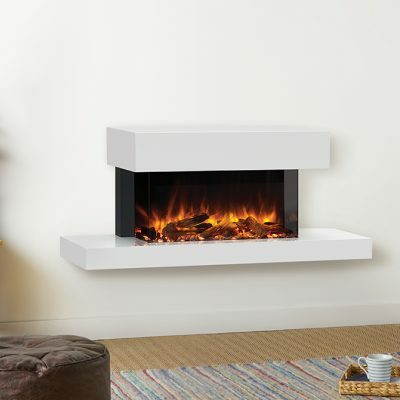 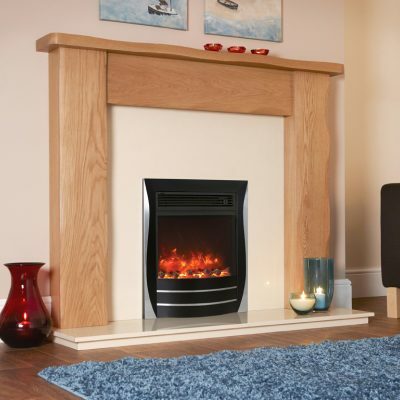 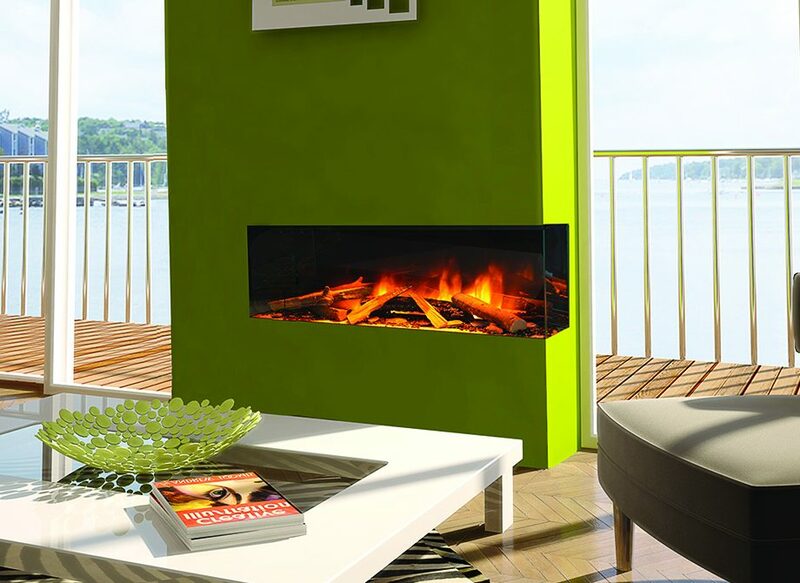 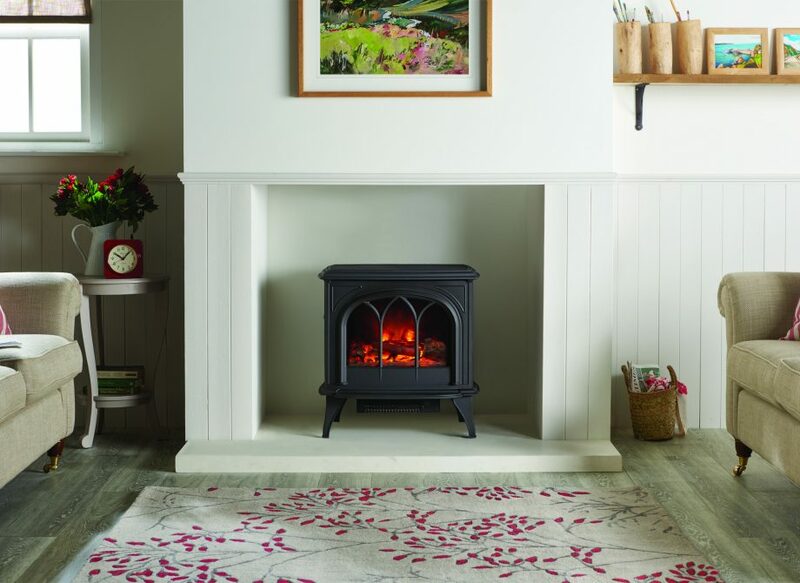 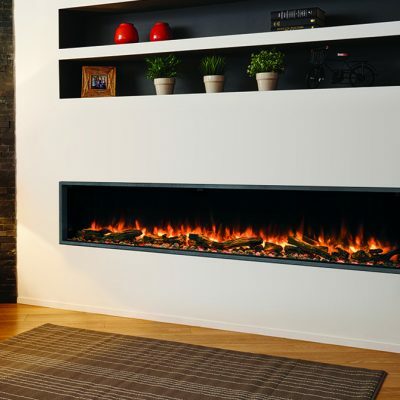 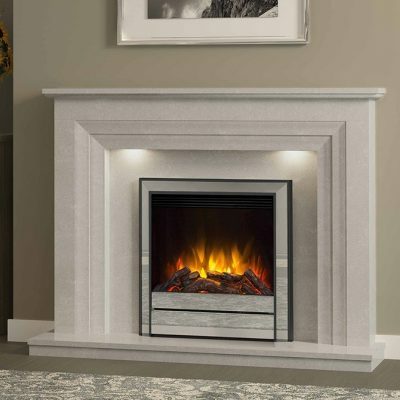 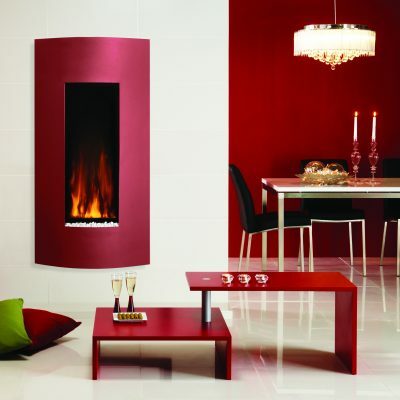 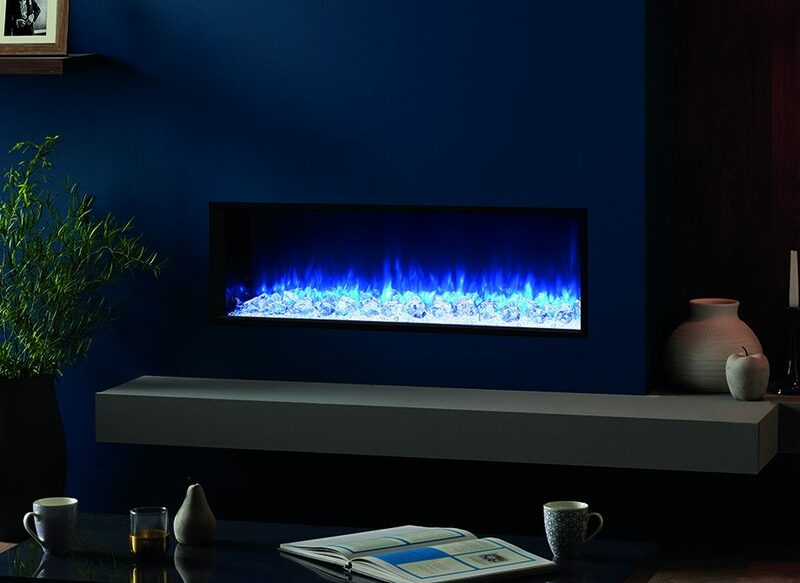 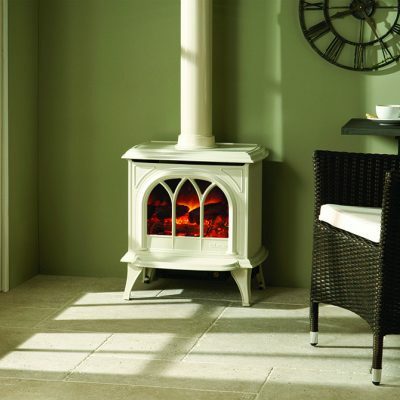 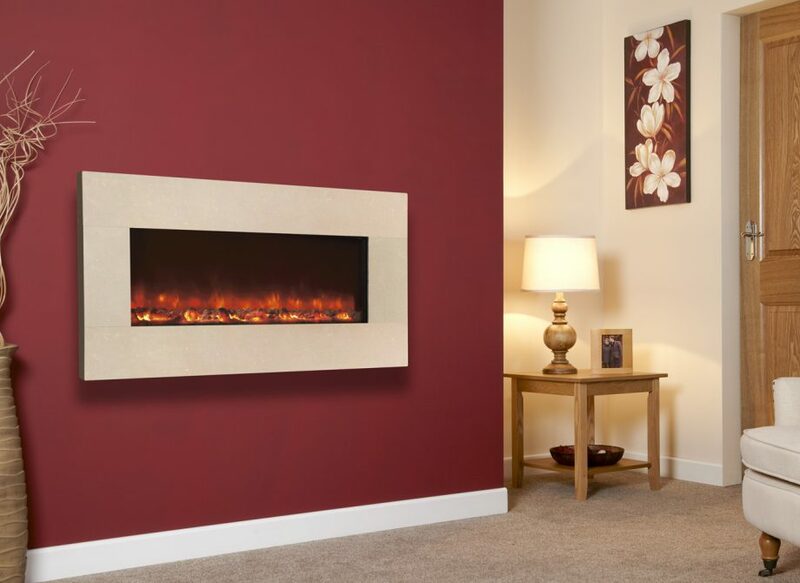 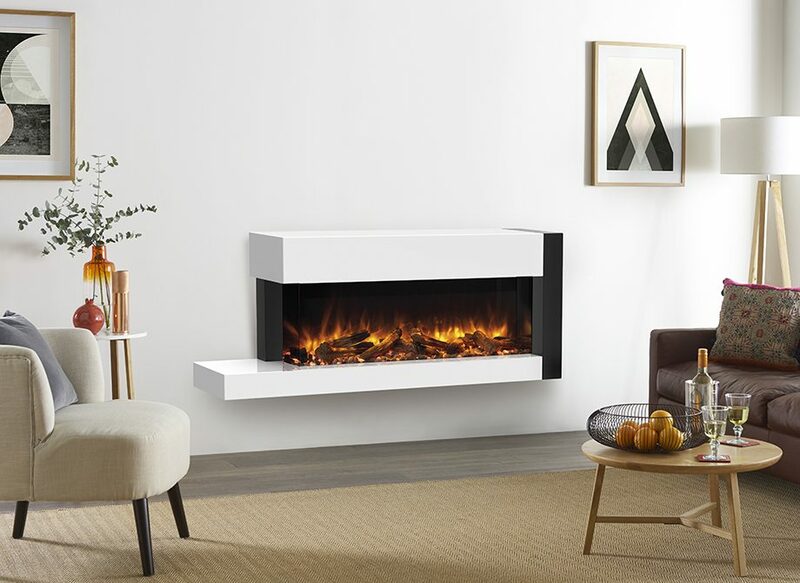 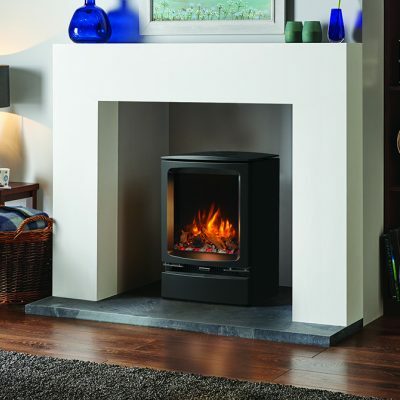 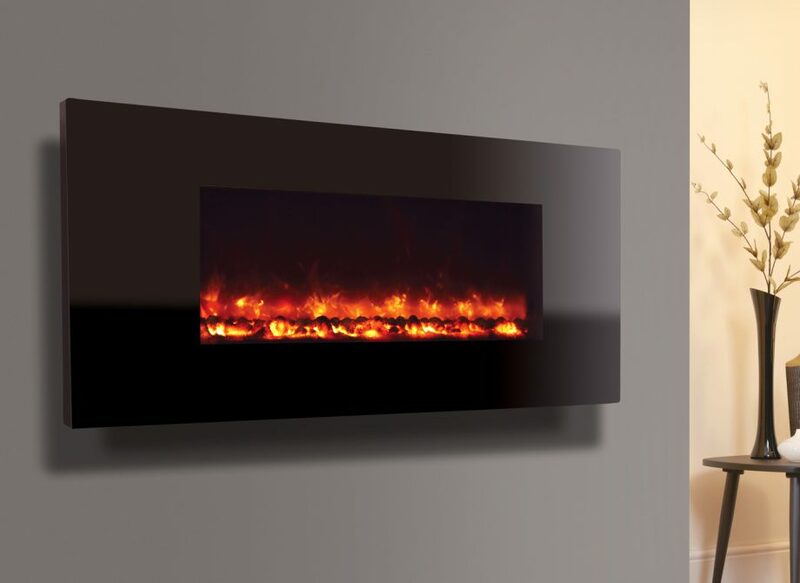 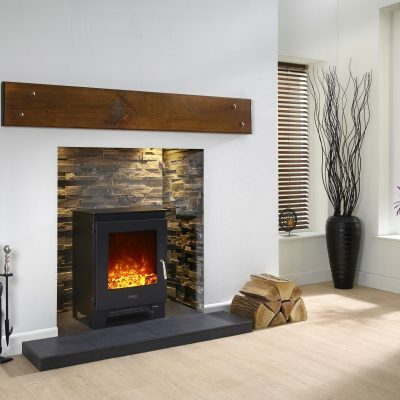 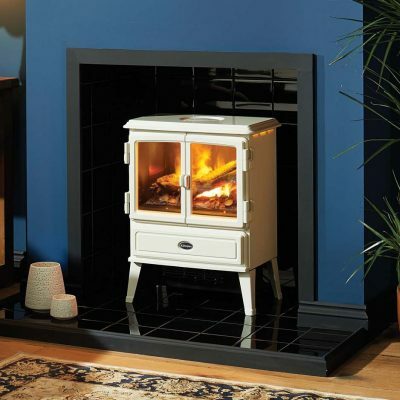 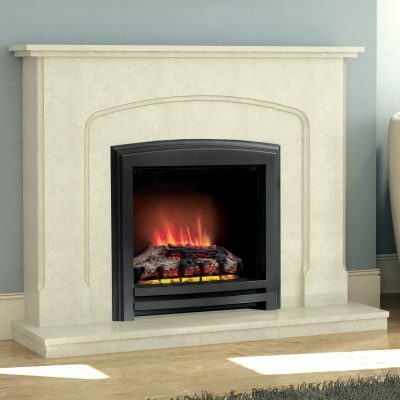 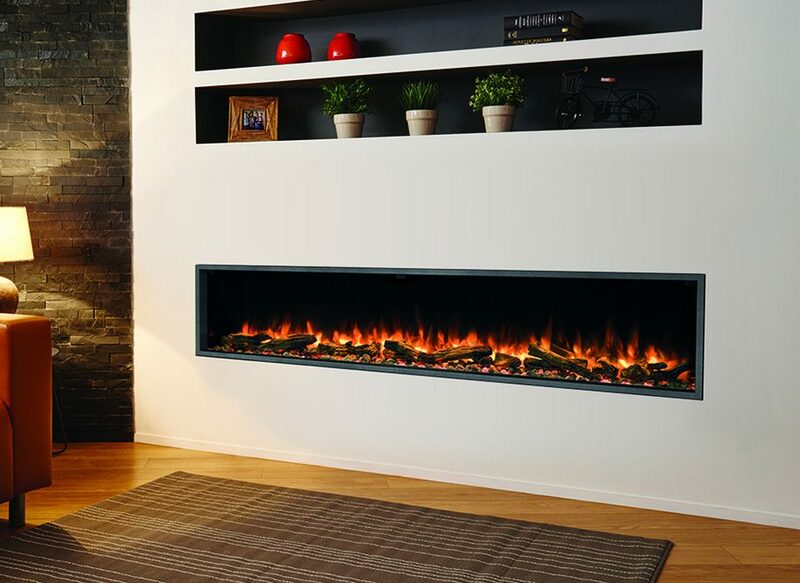 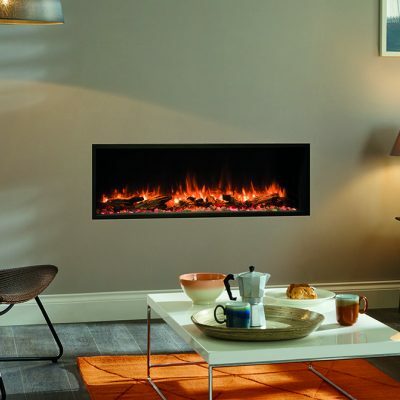 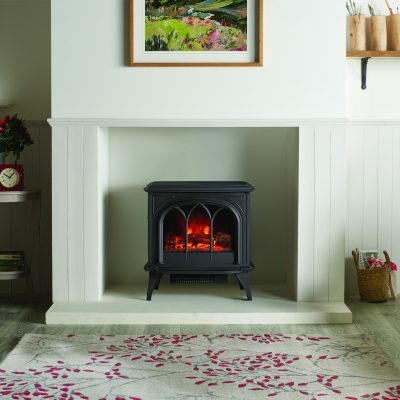 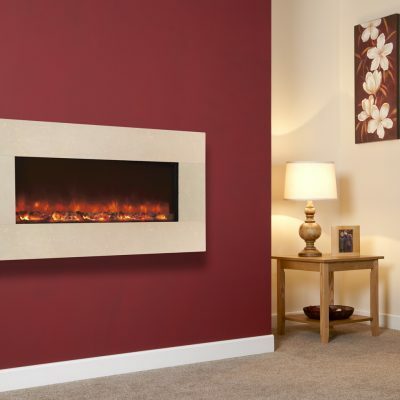 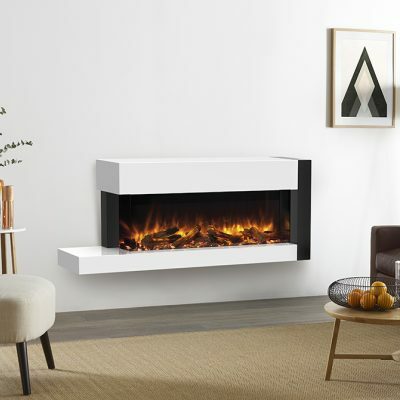 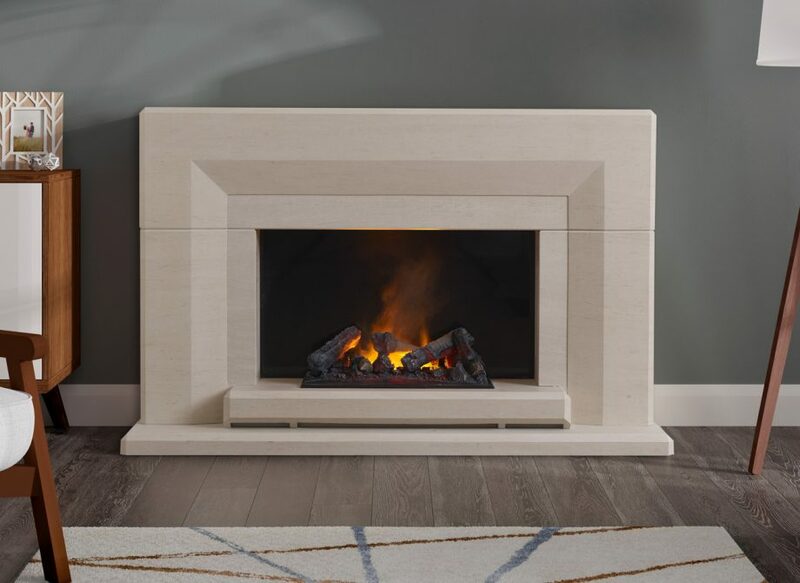 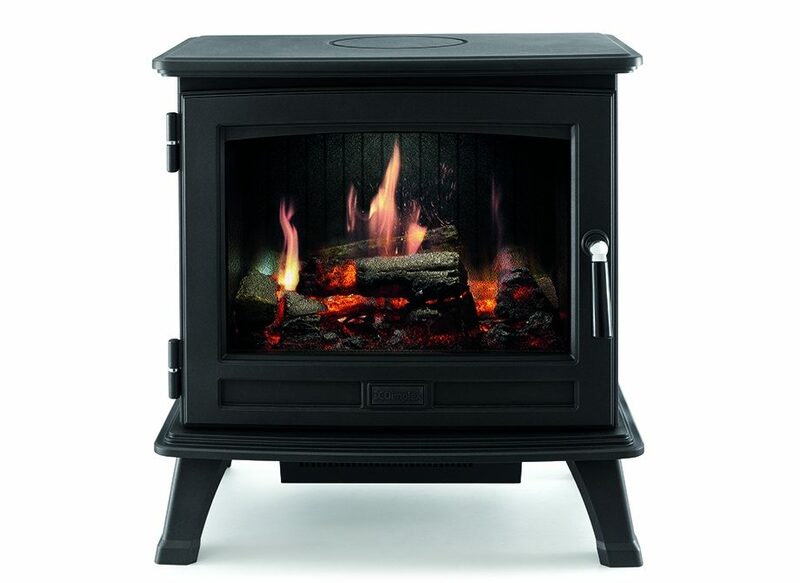 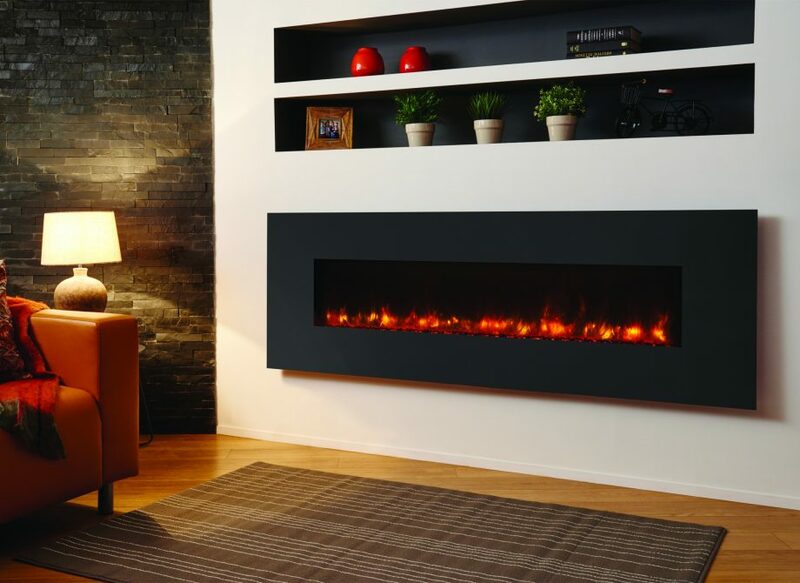 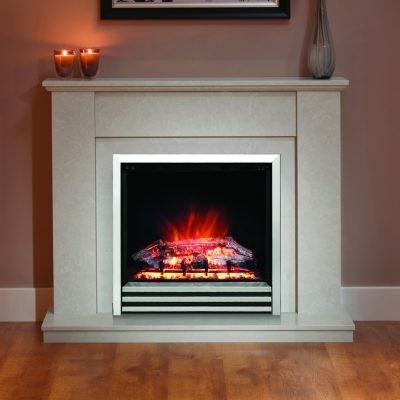 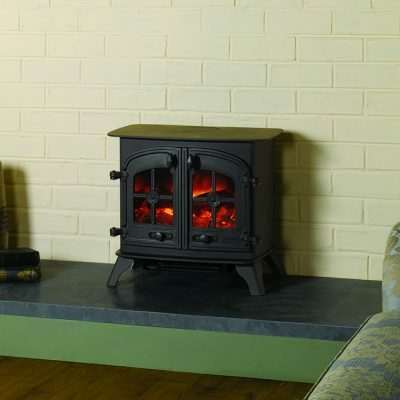 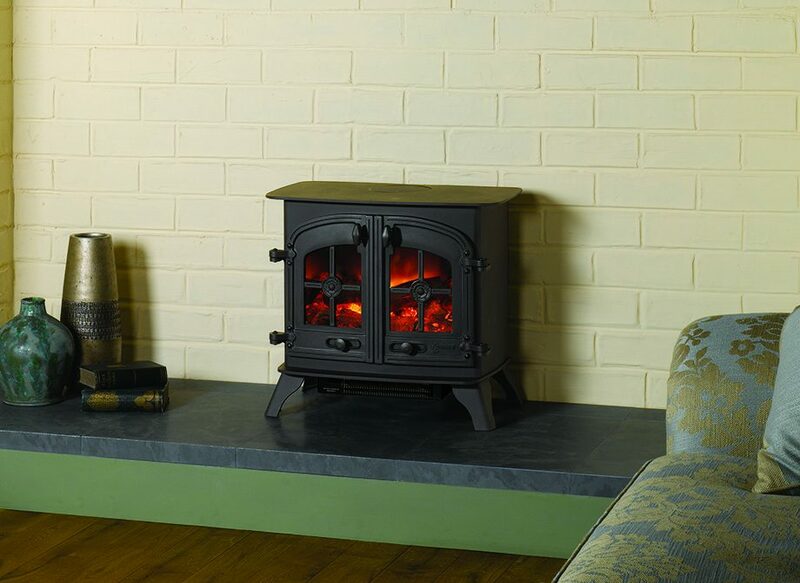 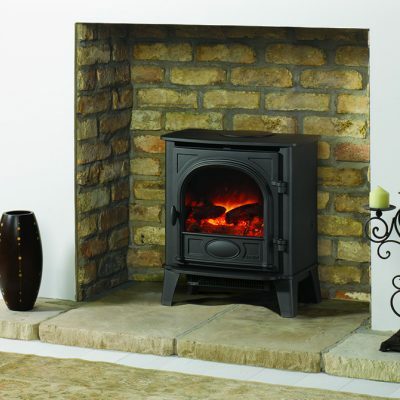 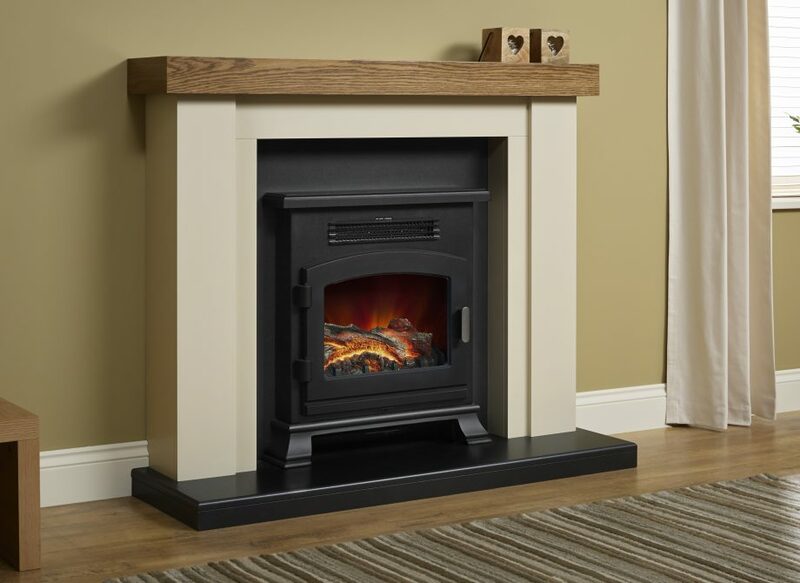 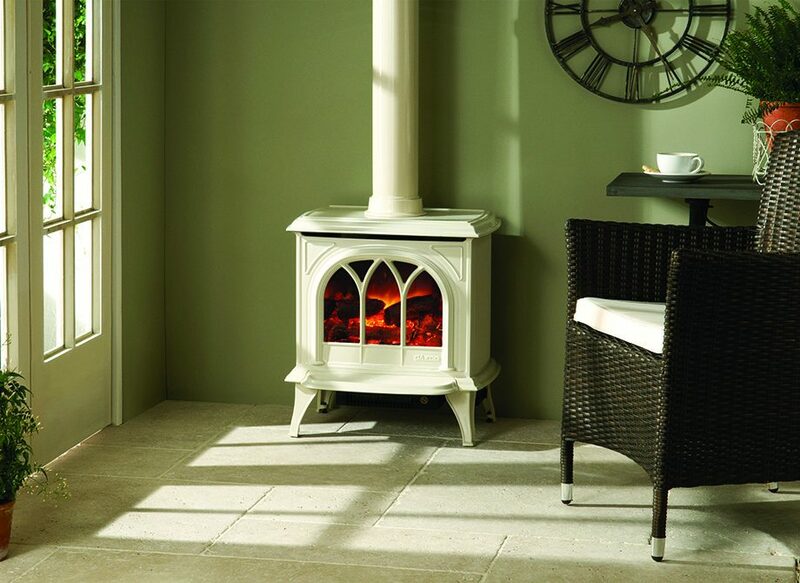 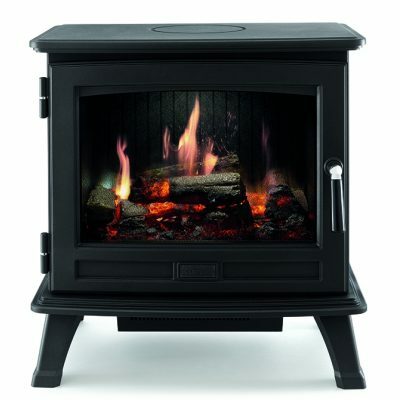 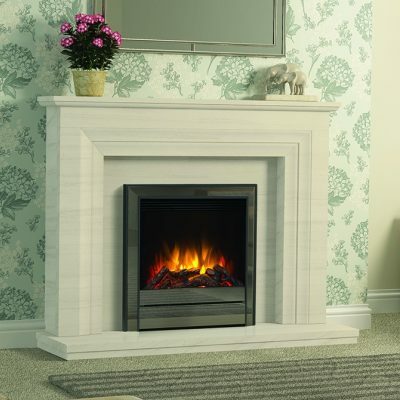 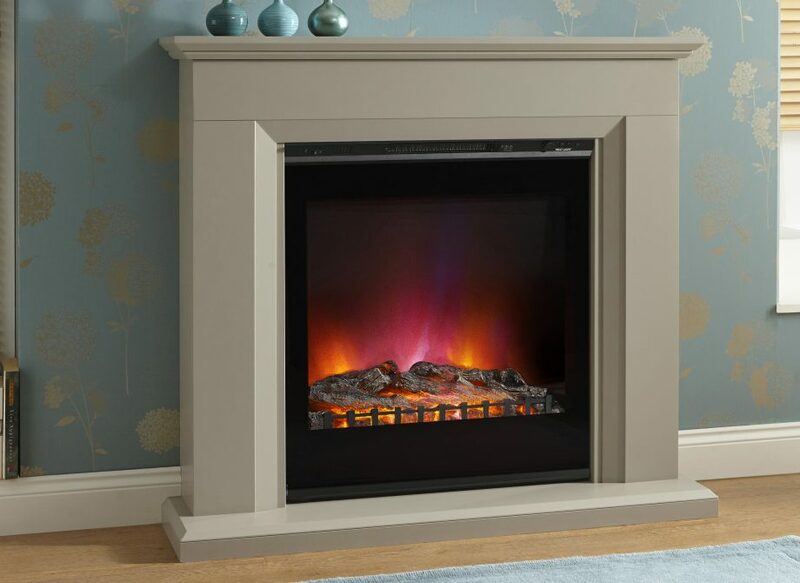 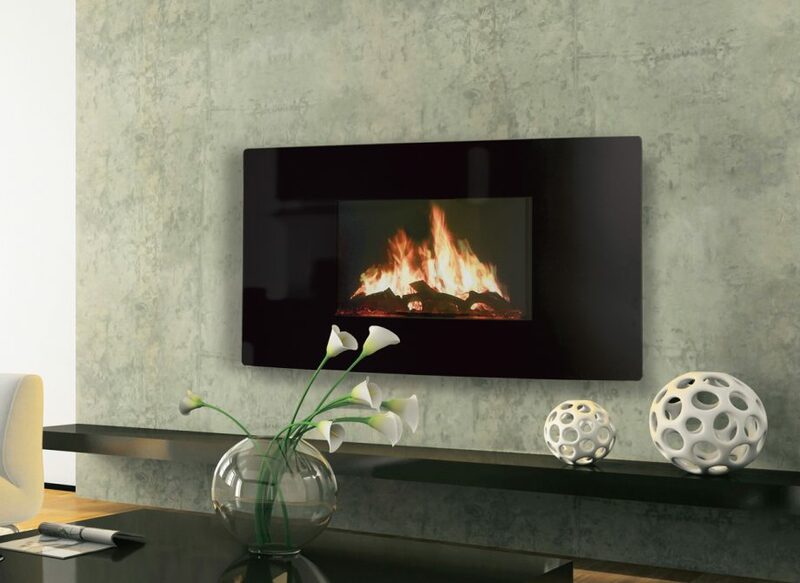 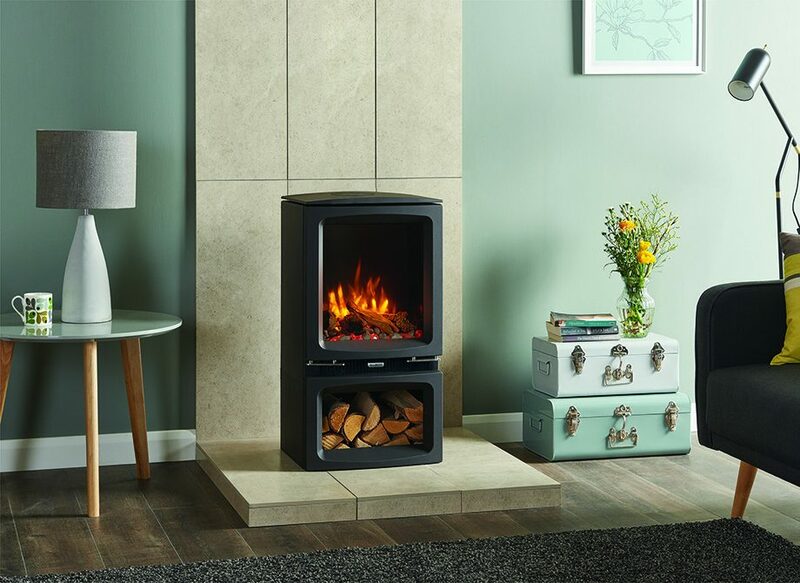 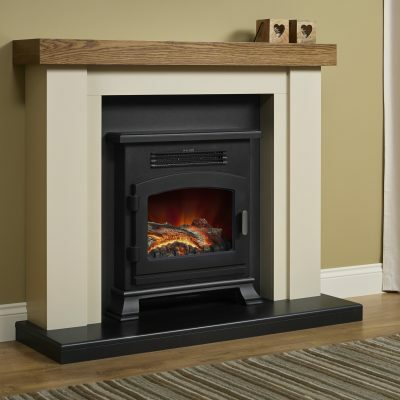 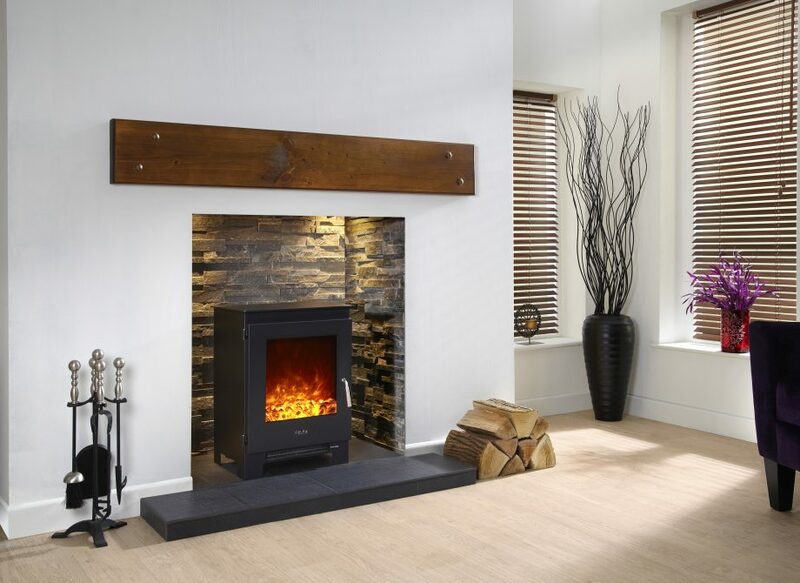 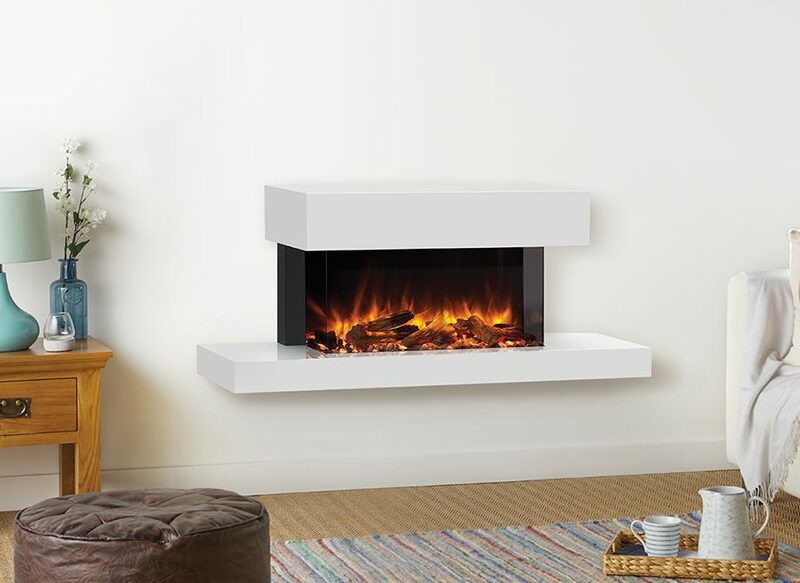 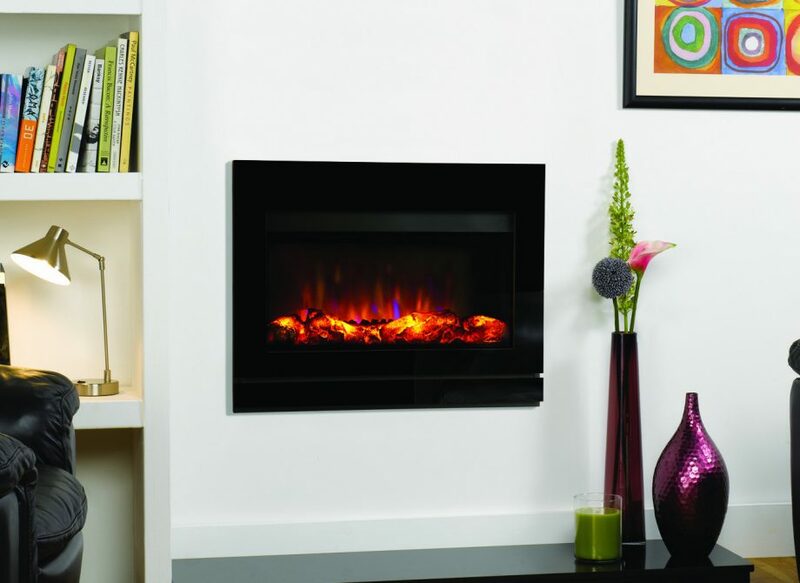 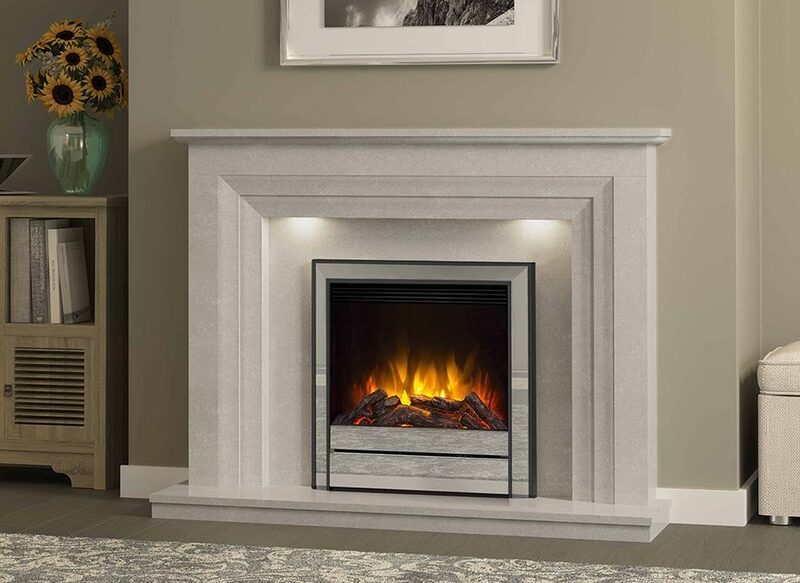 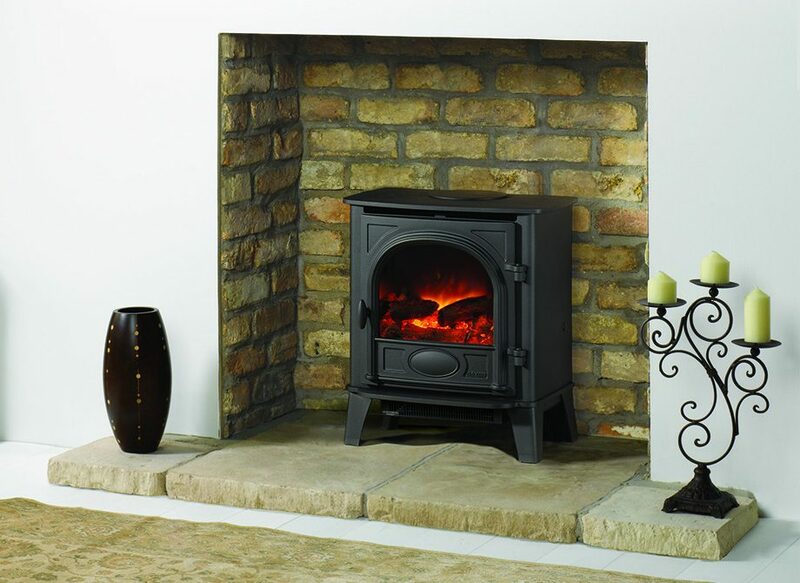 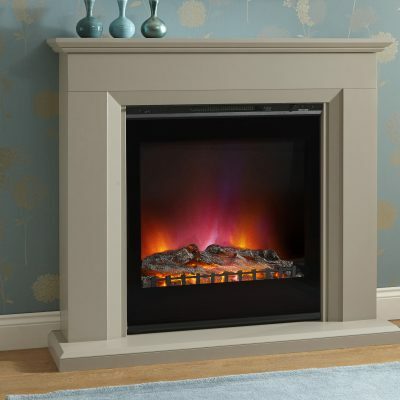 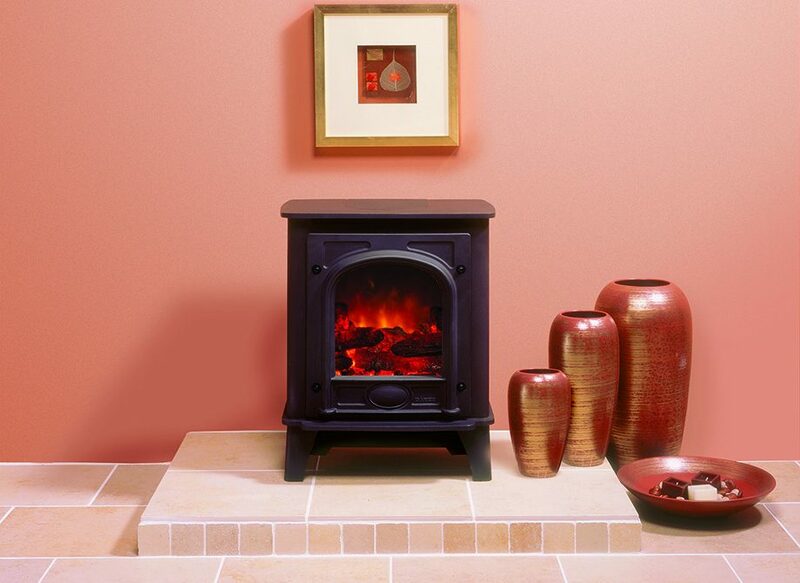 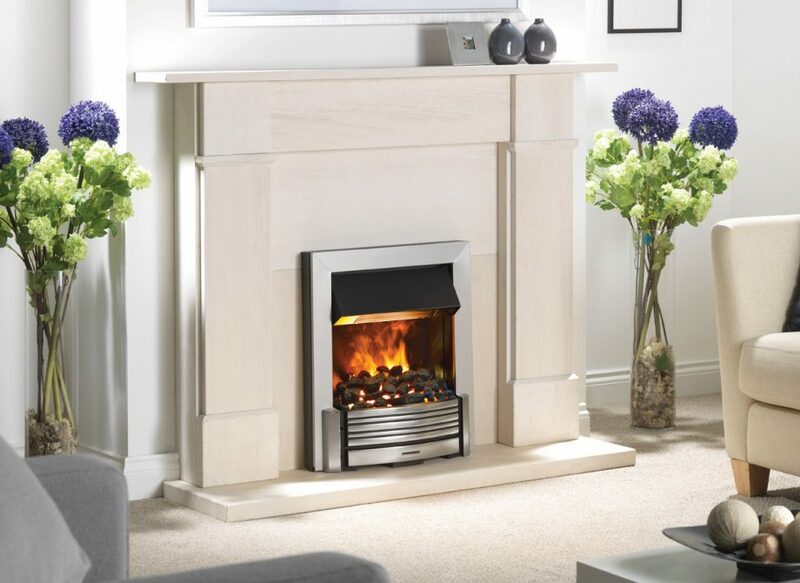 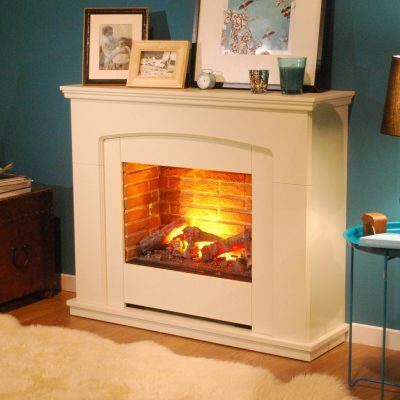 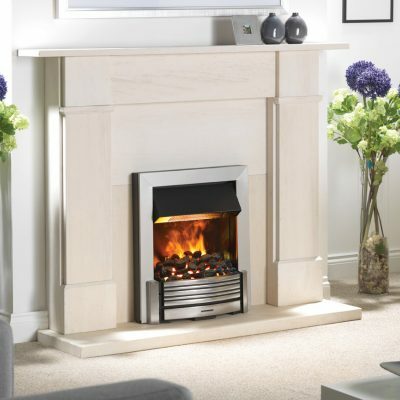 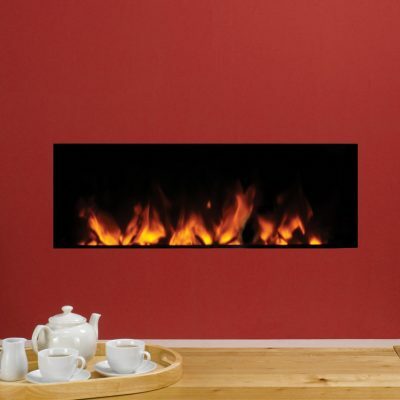 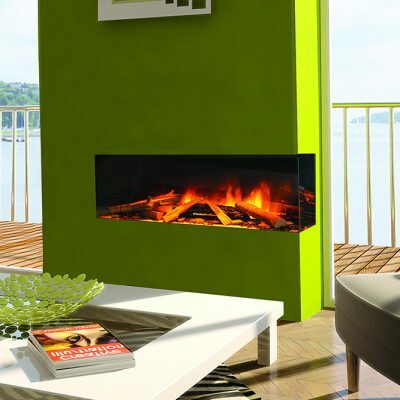 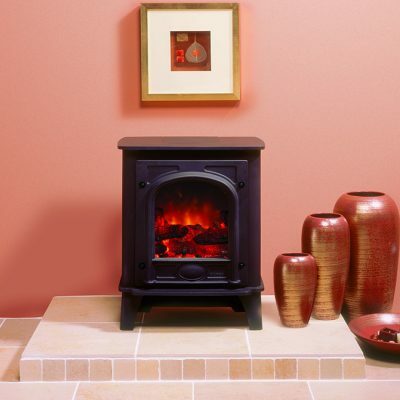 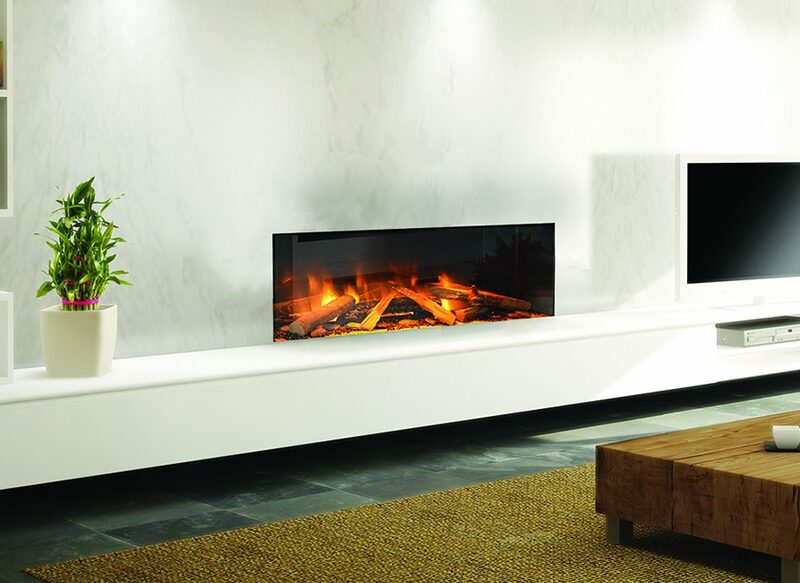 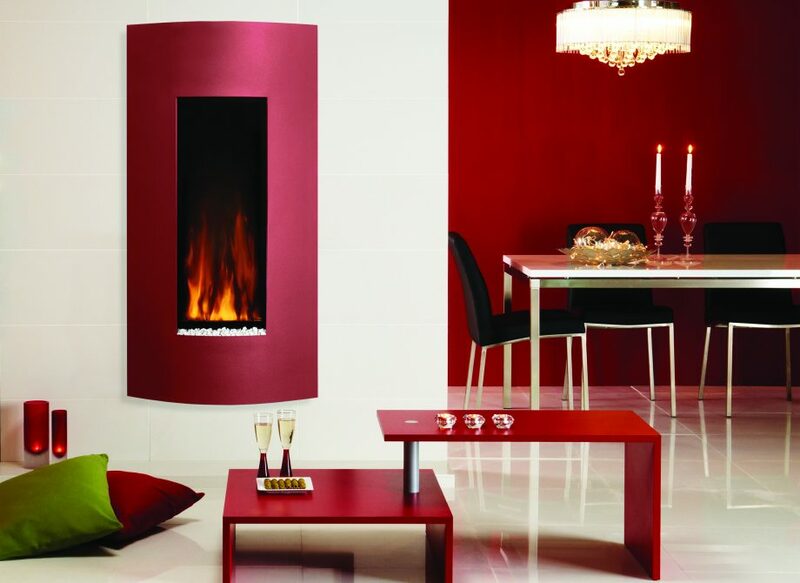 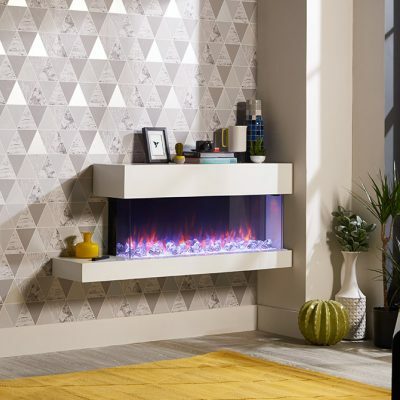 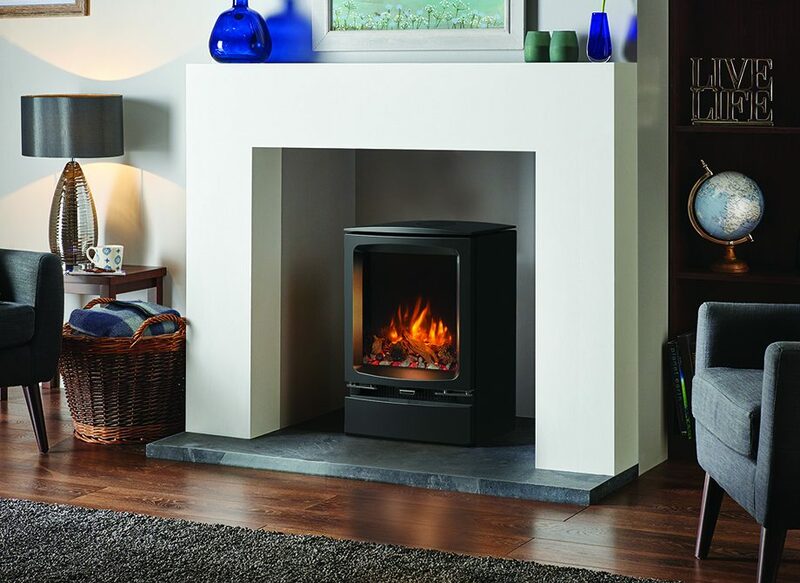 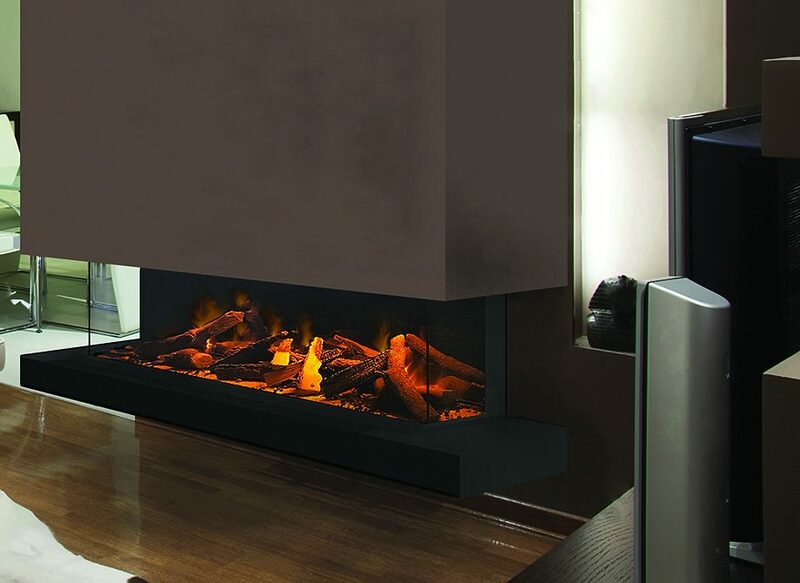 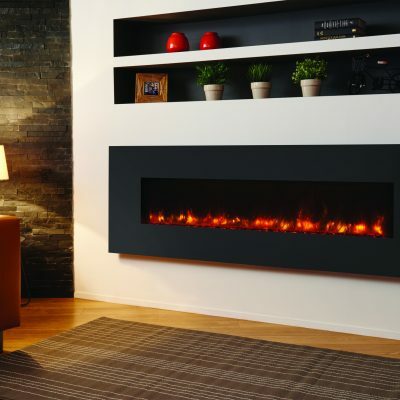 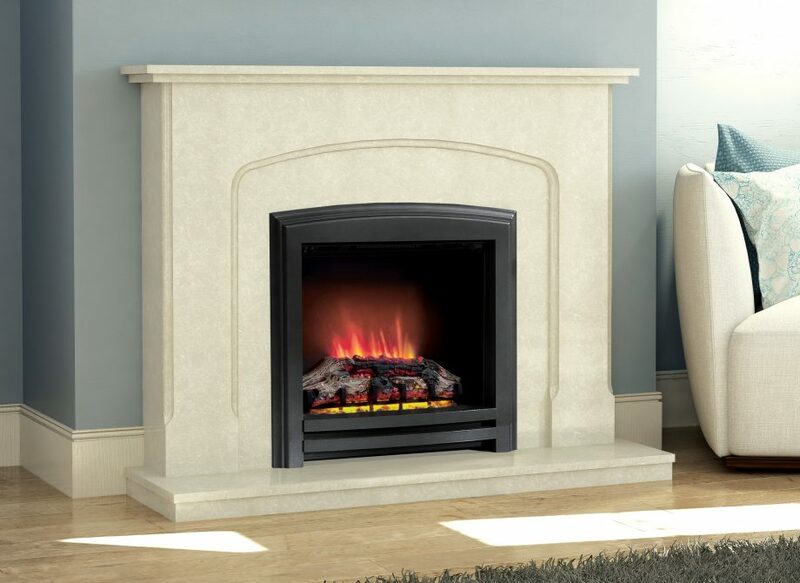 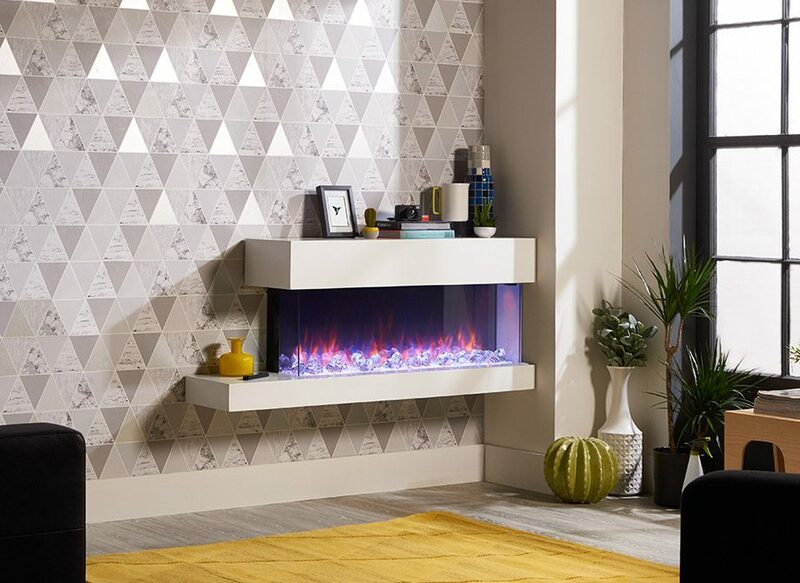 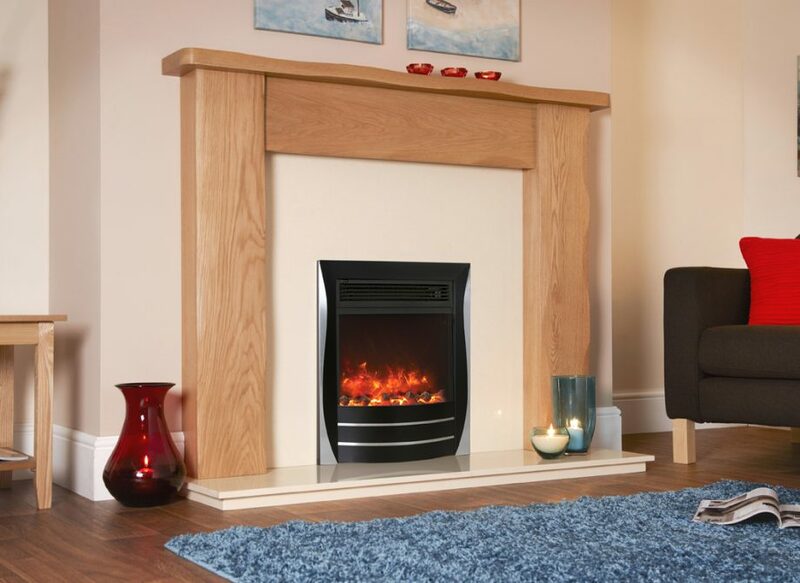 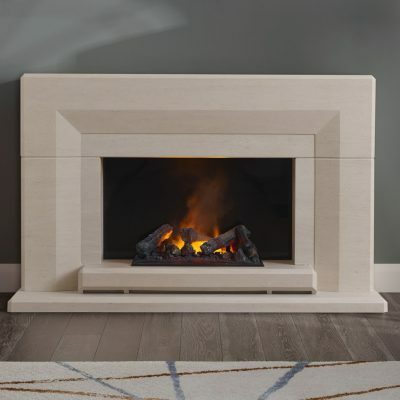 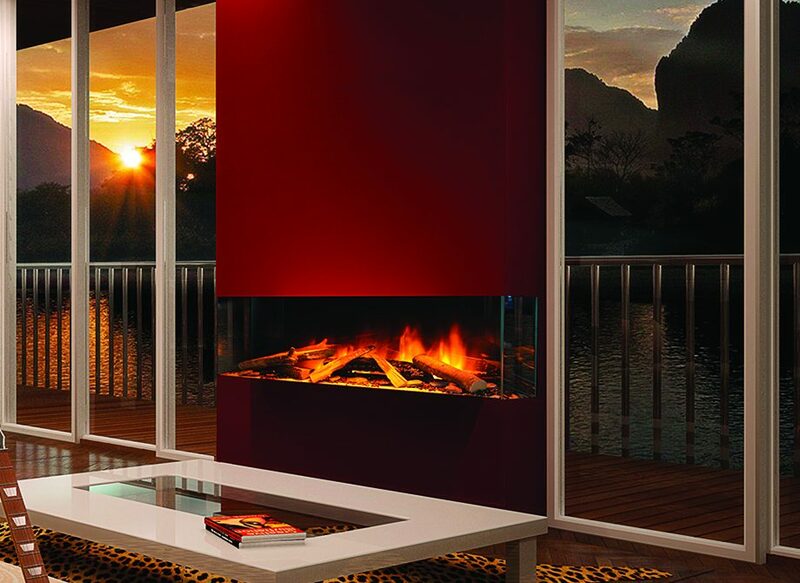 As well as this, some brands now feature state-of-the-art technology to create a realistic 3D flame such as the unique Dimplex Opti-Myst™ range.